The USB 3.o is the fastest USB connection available. With speeds of up to 5GB/s, USB 3.0 is 10 times faster than USB 2.0 (480Mb/s)! Store HD movies, archive precious photos, and back up an entire music library in seconds. 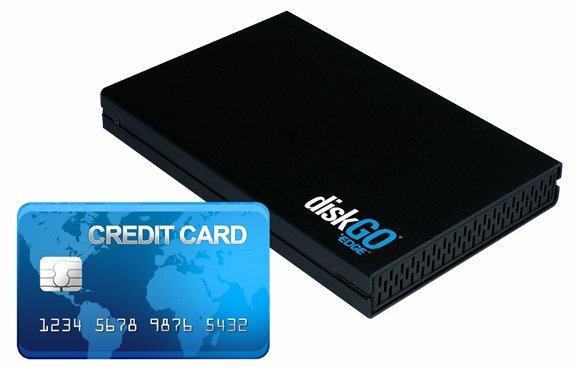 Simply connect the diskGO Portable USB 3.0 Hard Drive to an available USB 3.0 port of a computer to begin backing up data in ultra-fast transfer speeds. No software is needed to download or install. USB 3.0 is backwards compatible with USB 2.0 devices, which means it can also be used with older systems. 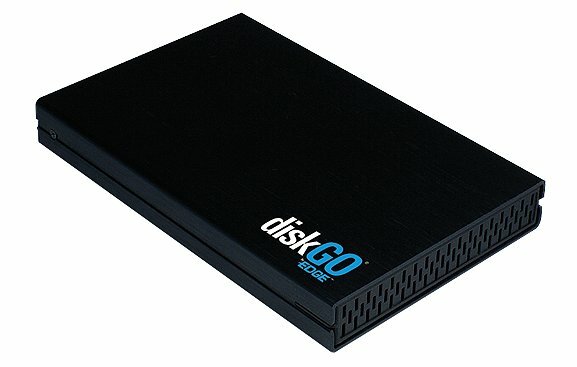 Both PC and Mac compatible, the diskGO Portable USB 3.0 Hard Drive is an excellent cross-platform storage solution. This hard drive is pocket-sized and requires no additional power supply, making it easily transportable. The sleek black aluminum casing provides cooling and durability. 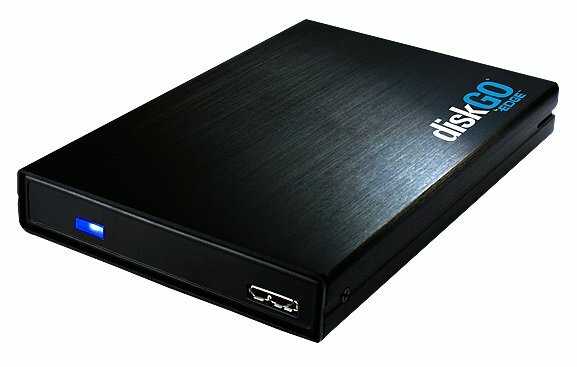 Protect precious data from accidental loss and assist with disaster recovery with the diskGO Portable USB 3.0 Hard Drive.